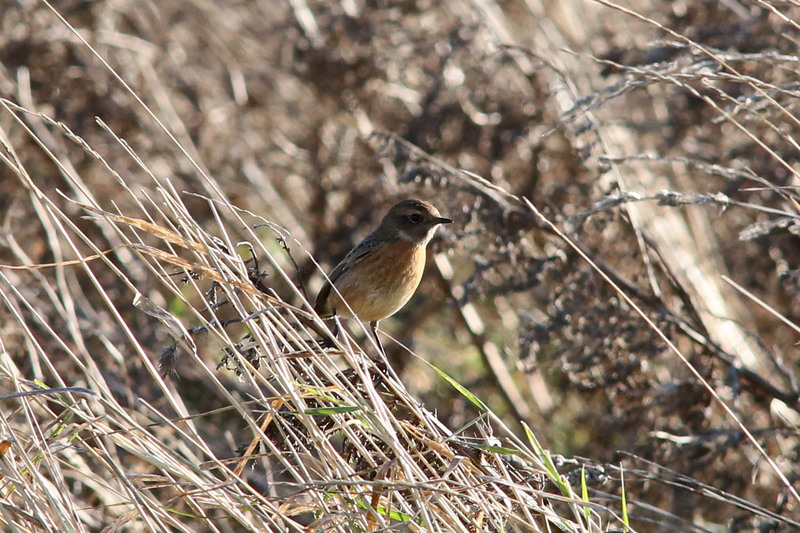 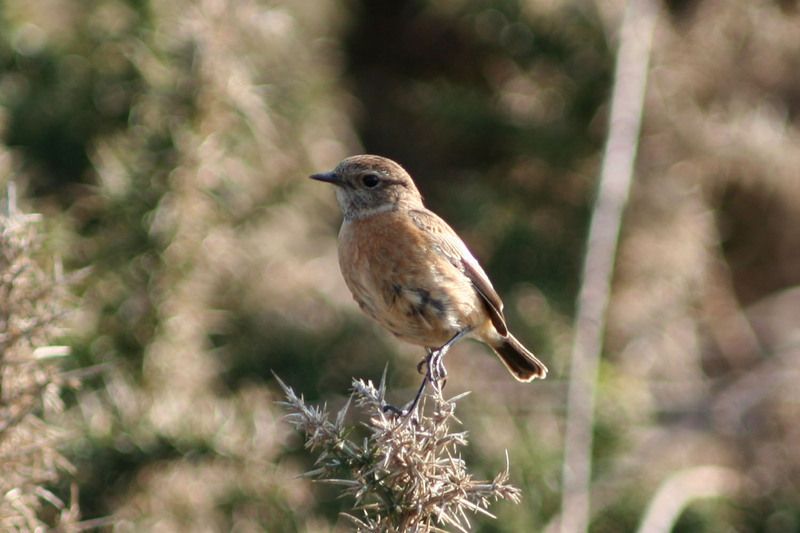 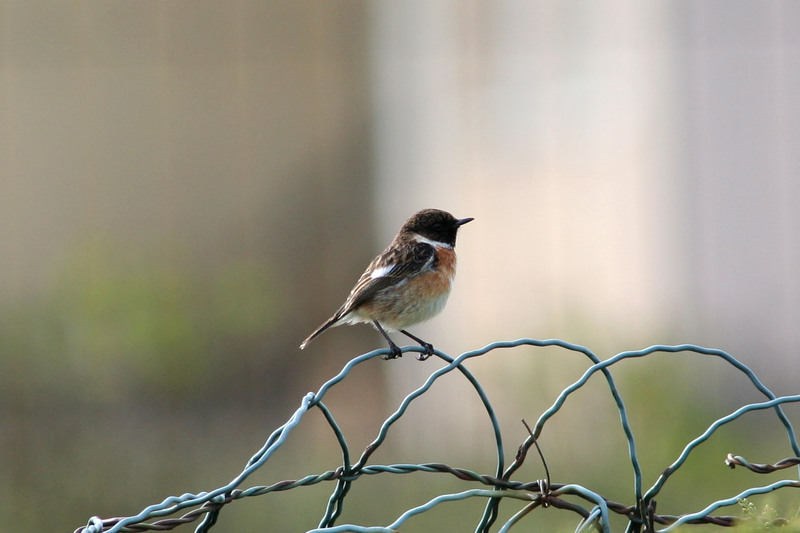 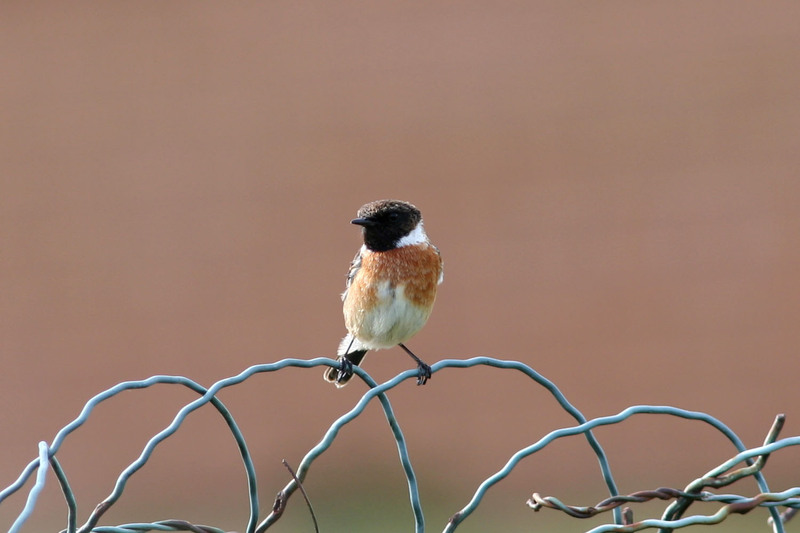 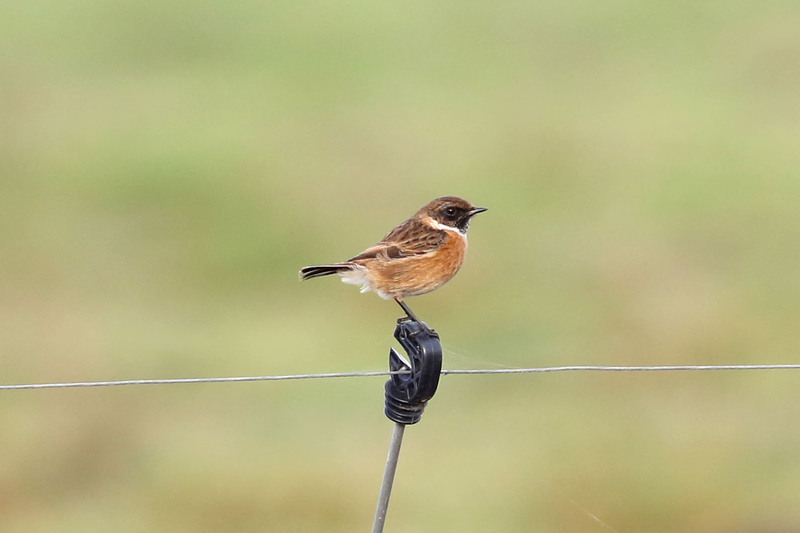 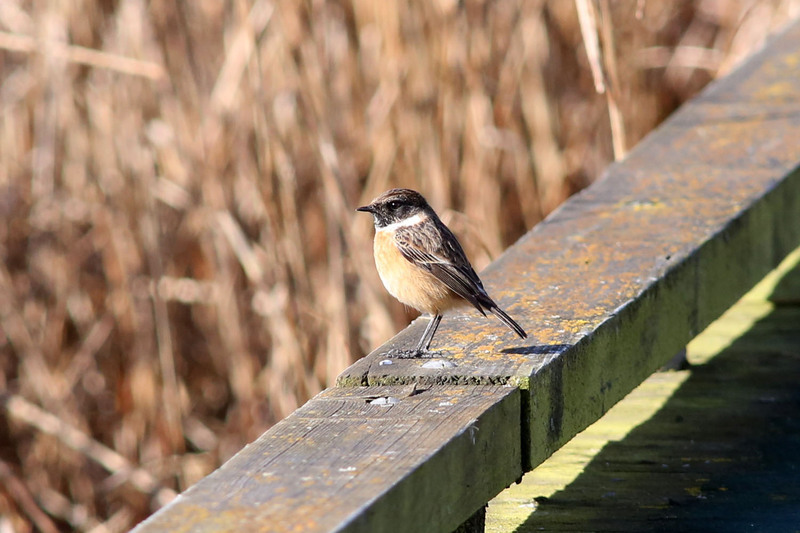 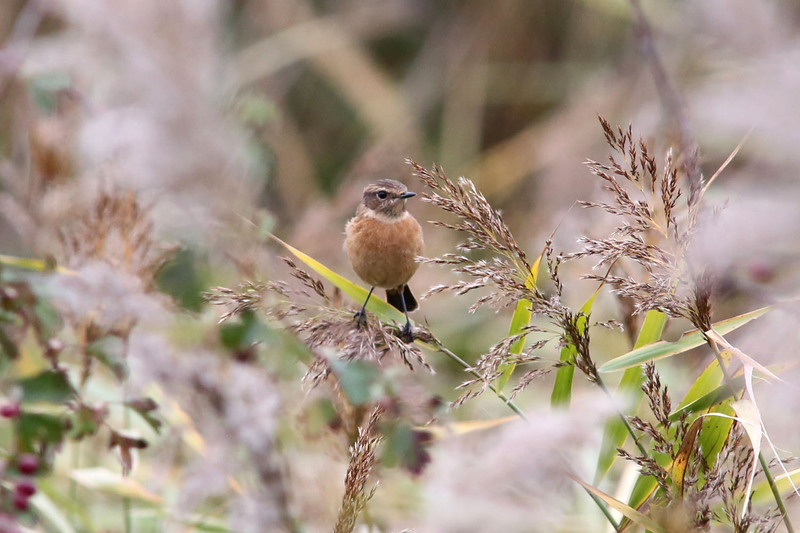 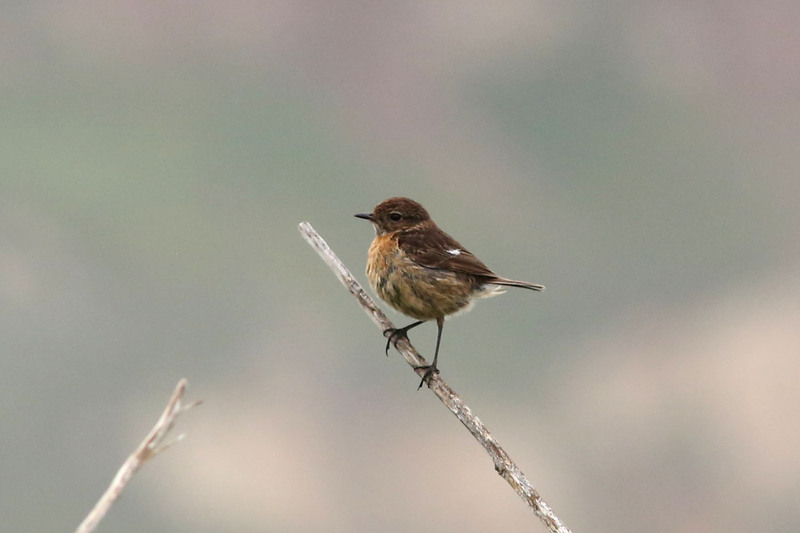 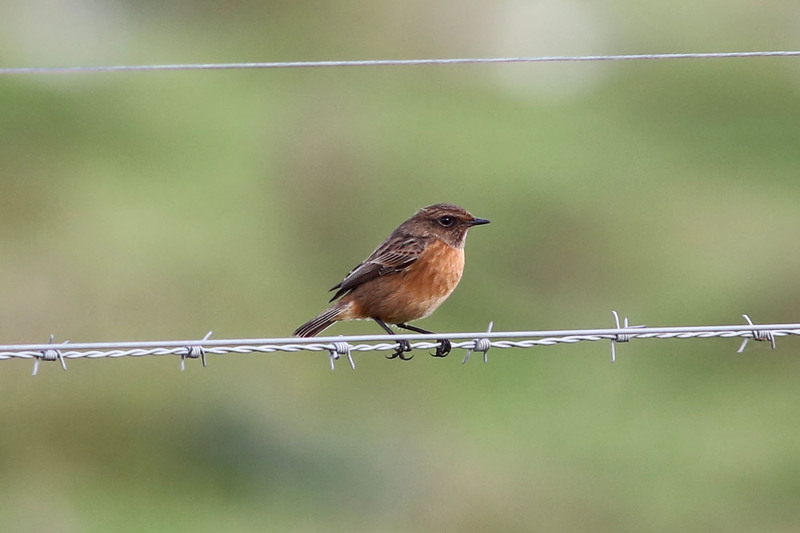 The Stonechat is a member of the Thrush family but is not commonly seen in gardens prefering open ground. 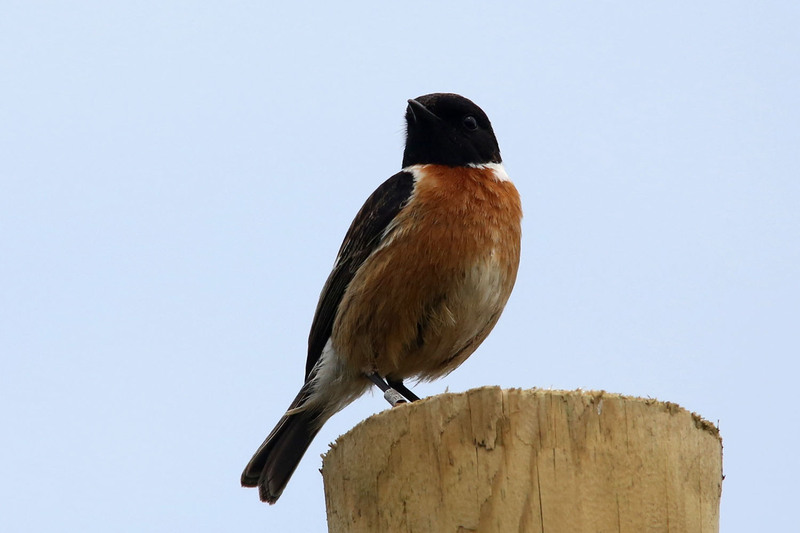 The male is quite distinct from the female with a more striking black head and white half collar while the female is browner with a less orange breast. 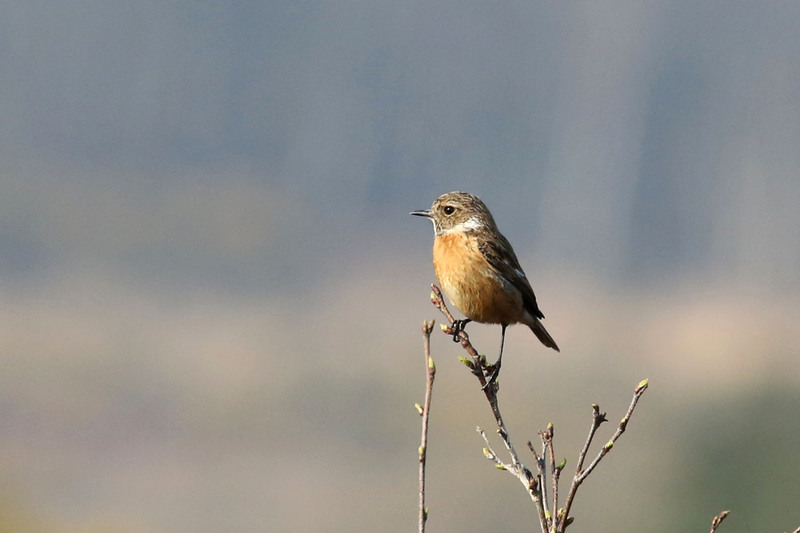 A Stonechat calling from his perch on top of a bush.